I HAVE been lost several times in my life. Twice people so close to me have passed away suddenly, leaving this numbness inside that made memories hurt. Even the glowing, vintage thoughts of building sandcastles with Mam on that wonderful Inchydoney beach. She’d lug bucket after bucket of seawater up for the paddling pool, as both of us waited for Dad and my cue to head into the waves. We’d be wrinkly getting out! They always fostered my love for the water. But Dad died suddenly when I was nine, and in my teens a friend died in the River Lee. I wasn’t ready for either. Who could have been? In 2012, my world changed again, for the better. 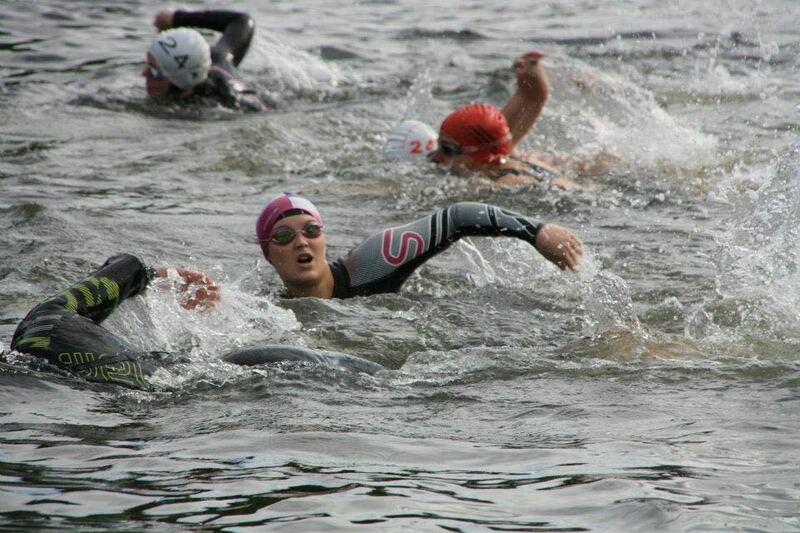 I took on the River Lee Swim to create positive memories about the river. With every stroke I thought about all of the loved ones that had passed on and I felt very close to them. When I turned the corner at the port of Cork, I had to fight hard against the current, but when I finally hit my timing chip against the finish line, it was a fantastic feeling! I had conquered so much more than a swim; I had replaced lostness with a beautiful sense of happiness, fulfilment and strength. I had done this while staying connected to these people that mean so much to me, rather than trying to forget about painful memories. That swim made me feel again. Now, when life gets on top of me and I feel upset, or beaten down, I get into the water. With each stroke my mood lightens and I swim until I feel like me again. I get out of the water – even if it’s just a bath! – feeling like I can take on the world with the support of my fellow water humans, who are always there with a cuppa. Swimming connects me to those early memories of family bliss, and to the people in my life today. Sometimes I don’t even need to swim for swimming to work it’s magic; just sitting on the shore, or hopping on a paddleboard, to watch over and encourage my friends completing their own challenges, that is happiness to me. Why? Because I know that when I need help, they will be there. That’s how it works. When you are part of the swimming community, you always have help. You always have a home. I have felt lost, and I have been alone, but swimming makes me belong. Always. And what couldn’t you swim without? There are two must-haves! 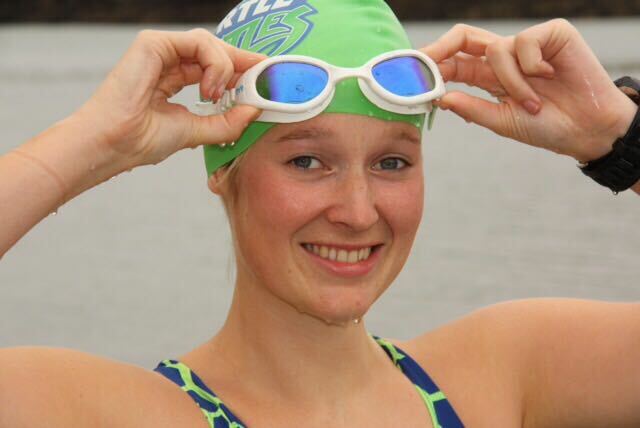 My TYR goggles – they are white, so all my water human friends can spot me in the water. It took me AGES to find a pair of goggles that actually fit my face 😊. And then, for winter swimming, I can’t live without my horridly ugly, grey, fleece-lined pants from Aldi instant warmth!